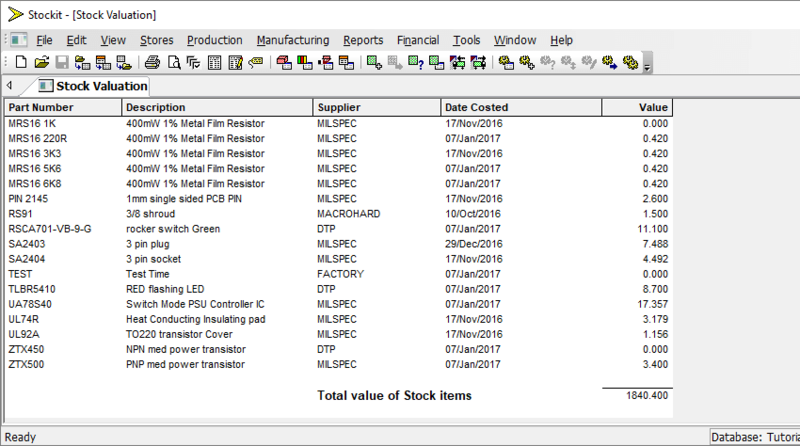 The value of parts held in stock can be shown instantly. Stockit will provide you with a valuation of all parts and products in stock, together with the value of all kits, shortages, outstanding orders and total stock. Component costs are tracked by order, so the reported stock value reflects the real cost, not an arbitrary average. Plus, there is full reporting of the status of each batch as it goes through production. There is even a history of what you made last week, last month or last year. How far back you go into the archives is up to you.